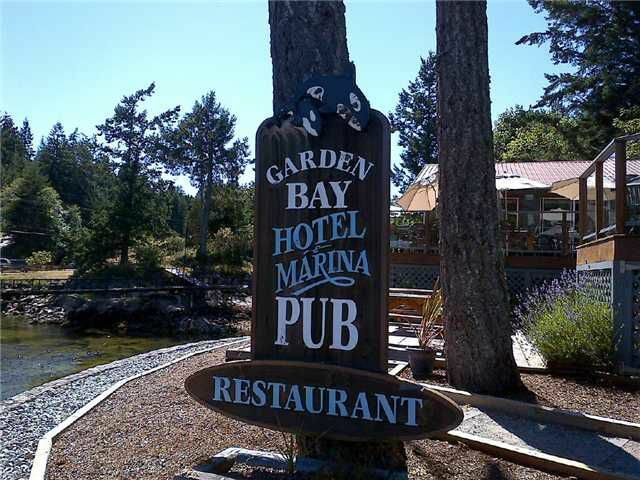 Garden Bay Hotel Pub Restaurant and Marina on BC's Sunshine Coast. Prime low bank oceanfront view property (almost an acre) in the heart and soul of Pender Harbour - world renowned for protected cruising and moorage. This complete package is nestled between the Royal Vancouver Yacht Club and Seattle Yacht Club outposts. As a fully operational licensed resort this turnkey operation is a fabulous opportunity for any entrepreneur who wants the West Coast lifestyle! The pub is known for its live music, deck dining and venue for the Pender Harbour Blues Festival. Call today for more details!